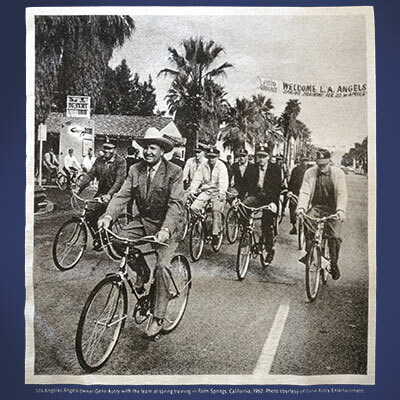 Gene Autry is known for riding his famous horse Champion, but in 1962 he swapped his saddle for a Schwinn and rode down the streets of Palm Springs with his baseball team, the Los Angeles Angels. 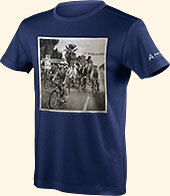 This fun photo is now on a t-shirt, available exclusively at the Autry Museum Store. 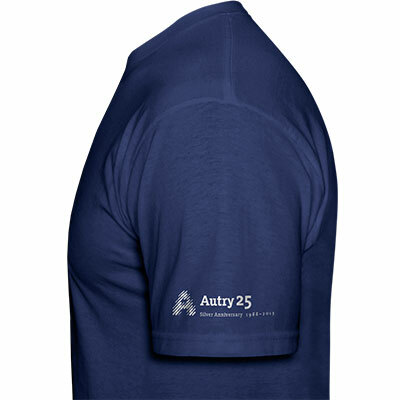 Photo is featured on the front with the museum's "Autry 25 Silver Anniversary" logo on the left sleeve. 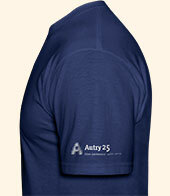 This dark-blue shirt is 100% cotton and Made In The U.S.A.